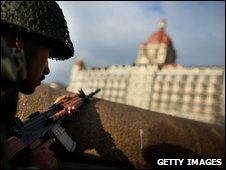 India has described the admission by Pakistan that last year's Mumbai terror attacks were partly planned on its soil as a "positive development". A foreign ministry statement said India also expected Pakistan to take steps to dismantle the "infrastructure of terrorism" on its territory. Pakistan's interior minister said suspects arrested could be prosecuted. The admission was condemned by militant groups in Kashmir, who accused the government of bowing to US pressure. This is the first sign of an easing in tension between the countries over the attacks, a BBC correspondent says. Many in Delhi are genuinely surprised at what some see as a major turn-around by the Pakistani authorities, Sanjoy Majumder reports from the Indian capital. Relations had deteriorated considerably after the attacks by 10 gunmen which claimed 170 lives. Pakistan denied any responsibility in the immediate aftermath of the attacks but later admitted that the sole gunman captured alive was one of its citizens. Top Indian officials are now meeting to examine the information that has been handed over before determining their next move. "It remains India's goal to bring the perpetrators of the terrorist attacks on Mumbai to book and to follow this process through to the end," the Indian foreign ministry statement said. "We would also expect that the government of Pakistan take credible steps to dismantle the infrastructure of terrorism in Pakistan." 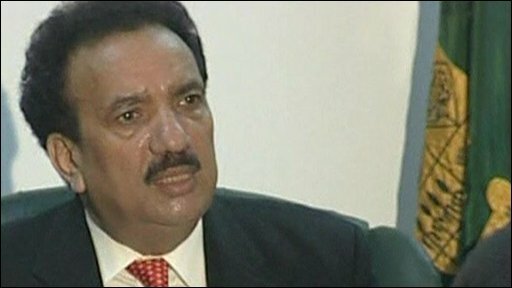 Earlier, Pakistani Interior Minister Rehman Malik said eight suspects from the banned Lashkar-e-Taiba militant group could face prosecution. 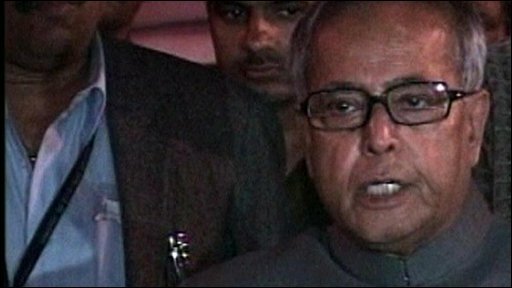 "Some part of the conspiracy has taken place in Pakistan," he told a news conference in the Pakistani capital Islamabad. Mr Shah was arrested at a Lashkar camp in December in Pakistani-administered Kashmir by security forces. Another man arrested at the time was Zaki-ur-Rehman Lakhvi, described as Lashkar's chief of operations. Mr Malik named Hamad Amin, a Karachi resident currently in Pakistani custody, as the mastermind behind the attacks. The main alliance of militant groups in Kashmir, the United Jihad Council (UJC), condemned the Pakistani government for admitting to Lashkar-e-Taiba's involvement. A UJC spokesman, Syed Sadaqat Hussain, said the government had done an about-turn after US envoy Richard Holbrooke's visit. "Pakistan has succumbed to American pressure and fallen victim to an Indo-US conspiracy," he said. Separatist leader Syed Ali Shah Geelani said that Pakistan did "not have an independent foreign policy" and had "bowed before the US".